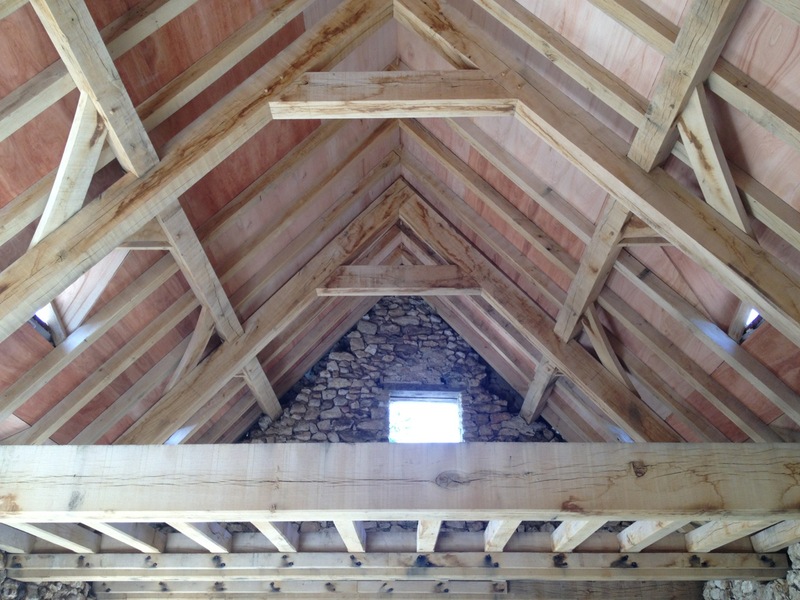 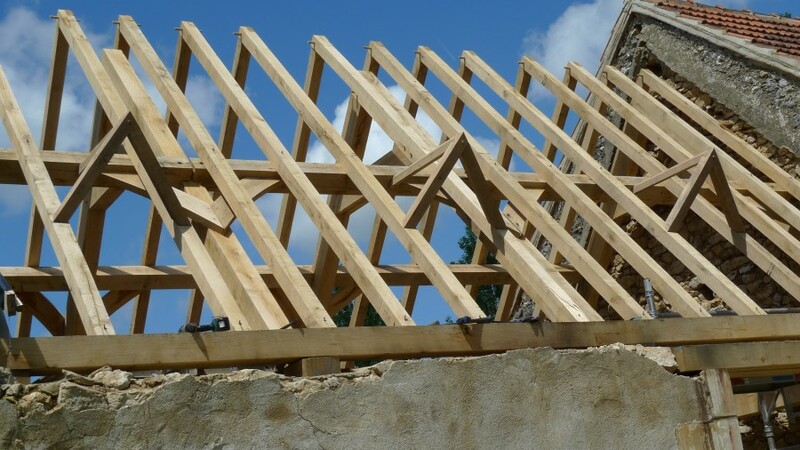 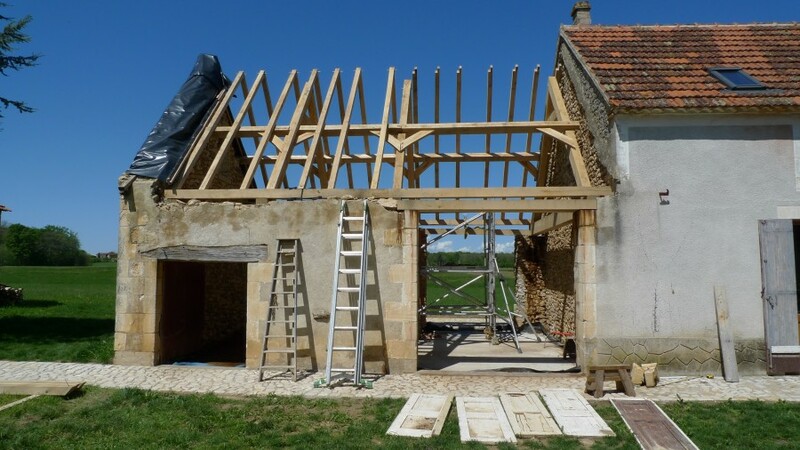 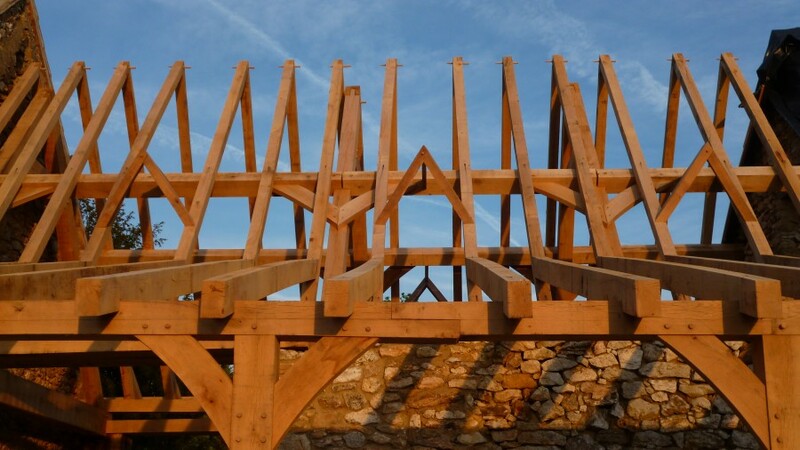 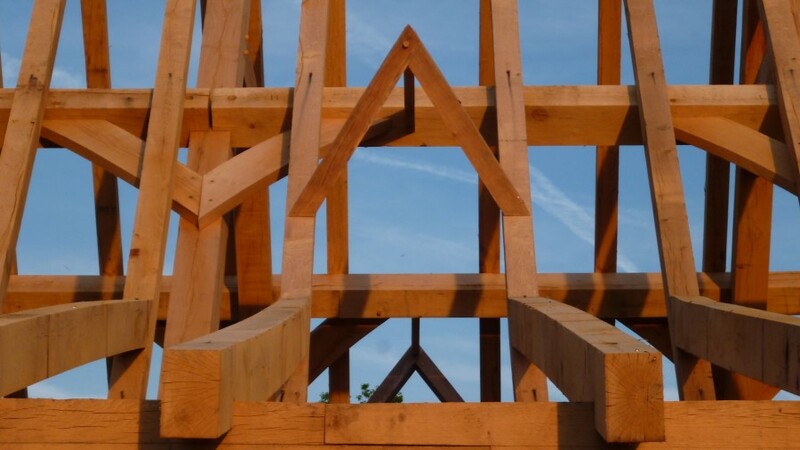 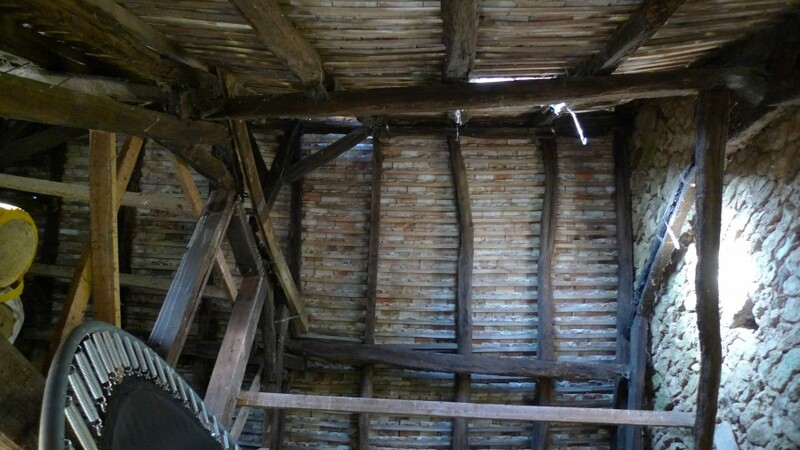 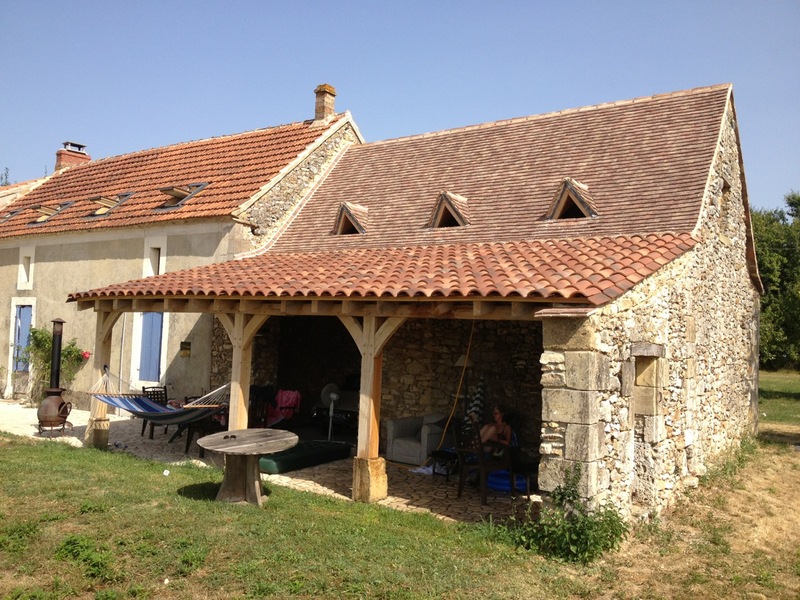 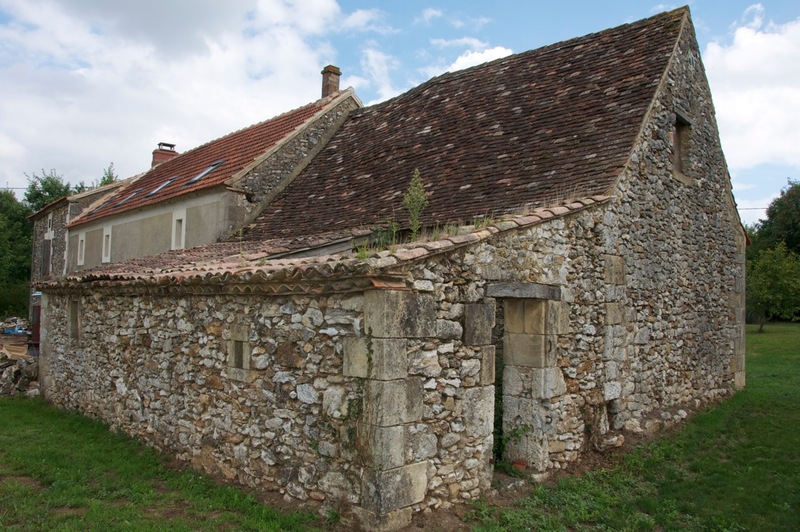 Our clients in southern Dordogne had a barn adjoining their house, with a roof that was badly in need of repair. 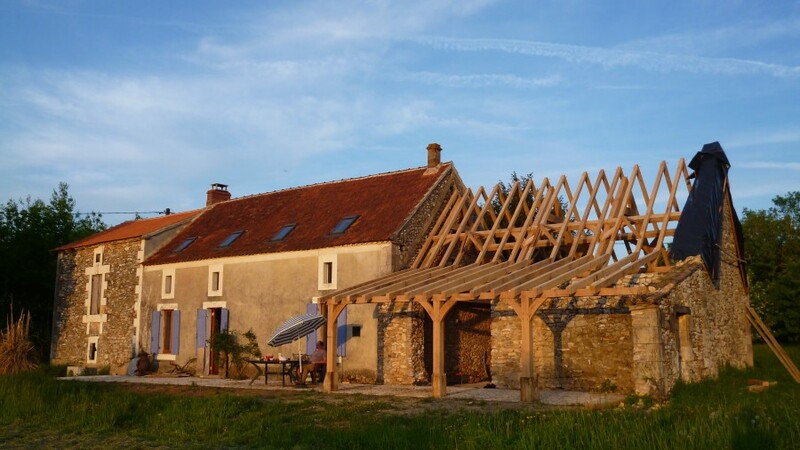 They wanted to convert the barn to living space, in keeping with the traditional architecture of the area. 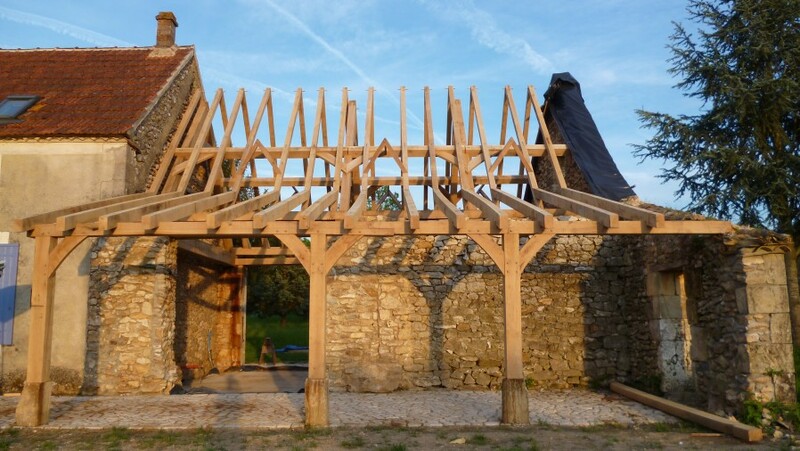 We built a sturdy frame in green oak for the roof and mezzanine and an adjoining veranda, which has created a summer dining space. 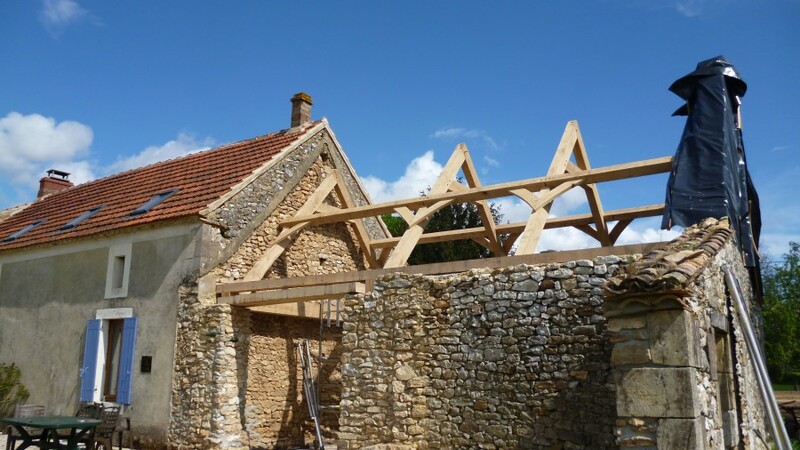 In keeping with local architecture, we built ‘outeau’ style roof openings (originally for ventilation), which now accommodate roof windows. 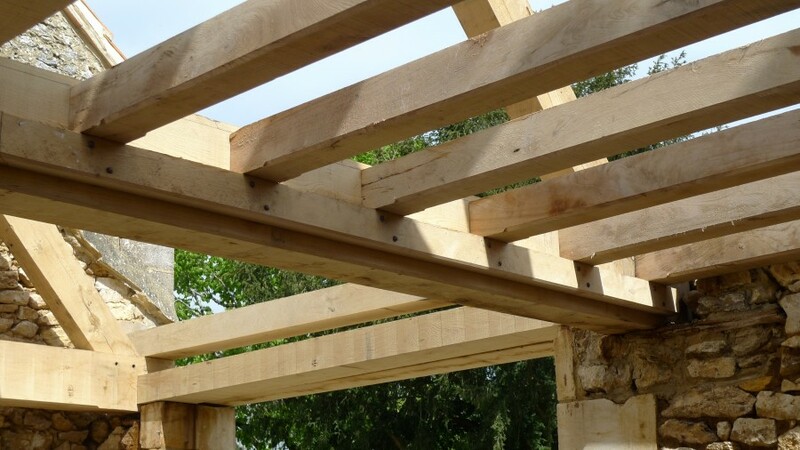 To view an enlarged slideshow, please click on any image.